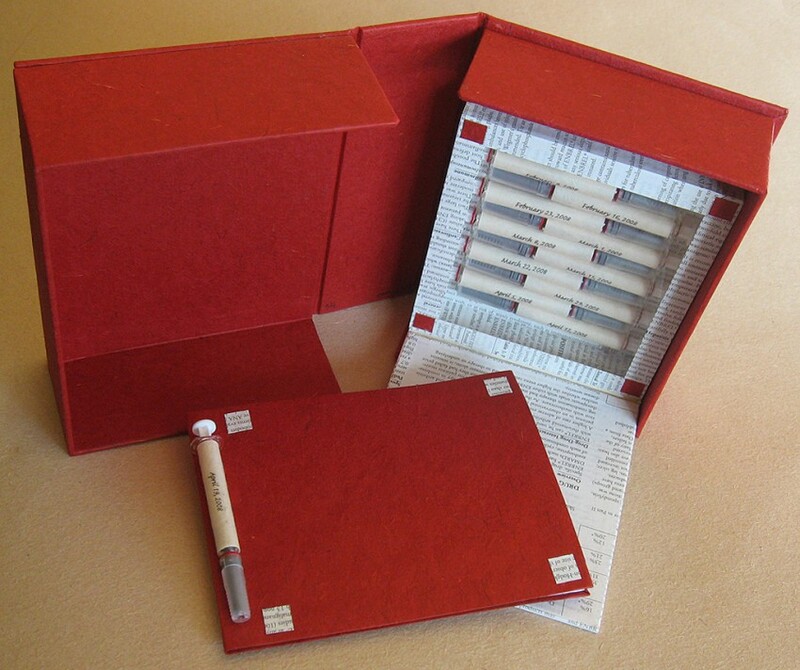 Side stitched book in clamshell box with 12 used syringes. Edition of 4. Physician drug information sheets, used syringes, mulberry paper, Indian cotton paper, book board, foam core, sheet acrylic, cotton cord. Giclée printing.